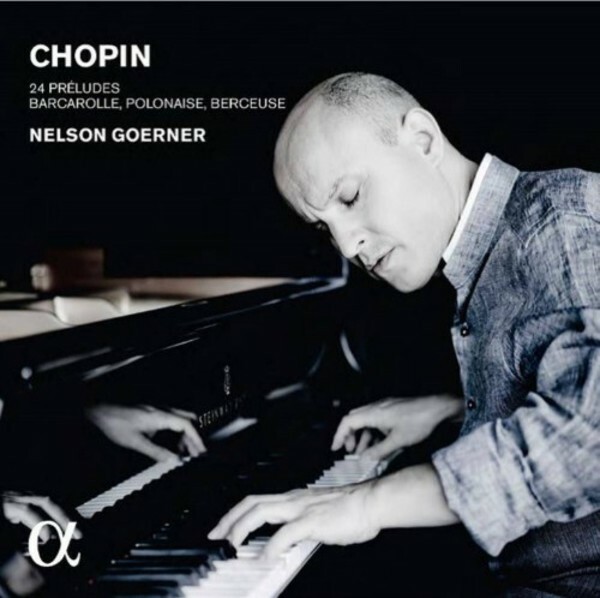 After Debussy and Schumann, Nelson Goerner comes back to the composer who revealed him to the great audience of recorded music: Chopin. His first Chopin recordings won him high praise and countless distinctions (3 Diapasons d�Or! ): �Everything he touches seems 'right'� wrote Gramophone in a recent issue. Nicknamed �the great poet of the piano�, he now attacks Chopin�s 24 Pr�ludes, which he chose to record live, in a single go, in Poland where he is particularly appreciated and considered an essential pillar of the Chopin Institute. As a complement, Nelson Goerner opts for the Barcarolle Op.60, the Polonaise Op.44 and the Berceuse op.57.